The 2019 edition of what is my personal favorite sports event is upon us! The NCAA Men’s Basketball Tournament is the most enjoyable of team sports playoffs to watch, in my considered opinion. I must admit bias here. Basketball was the only team sport I played on an organized level and was my first love as a youth. I became far more serious and competed on the professional level in another, mostly individual sport, bowling. But that is a tale for another time perhaps. I have been a football and baseball fan longer than I have loved basketball. But that’s the point, for of the three, I fell in love with hoops. So March Madness is always music to these ears and eyes. Here is a brief overview of 2019’s dose of wonderful b-ball insanity! If you have stuck with me thus far, let me assure you that you are at the correct website. This is not the usual fare for this journal, but it is not unprecedented, and I hope it proves an enjoyable respite from the political frenetics of modern times. There are officially 64 teams in the Tournament which begin play on Thursday, March 21, 2019. However, for the past few years, the last 4 of those 64 are determined by a play-in tournament known as the ‘First Four,’ which is played on 3/19 & 3/20. The culmination of this sports spectacular is the National Semi-Finals aka the “Final Four,” on Saturday, April 6, 2029. This is my pick for the greatest Saturday in sports, and certainly in basketball. Two games between the last four teams left in the one-loss-and-out format provide a magnificent day of viewing the best of college basketball. This year it will commence at U.S. Bank Stadium in Minneapolis, Minnesota, home of the NFL Minnesota Vikings. The field is divided into four Regional Brackets of 16 teams, the East, West, South, and Midwest Regions. That’s right, in college basketball, the North doesn’t exist, and no, I don’t know why! The No. 1 seed in each Region plays the No. 16 seed, 2 vs 15, and so on. The winners advance to a field of 32 remaining teams, whose winners move onto the ‘Sweet Sixteen,’ as that group is dubbed. The next round produces the ‘Great Eight,’ whose victors move to the ‘Final Four.’ In fact, the only participant number ranked above 16 which isn’t nicknamed is in the Championship game itself. Some say ‘final two’ but it’s a bit weak so it doesn’t count. This year my Alma Mater, the University of Nevada [B.S. Class of 1982], is seeded 7th in the West Region, “Go Wolfpack!,” and they square-off against the 10th seeded Florida Gators in the first round. They play on Thursday night so you can count on me finding someplace to watch it, though I reside far from Nevada now! However, Nevada is playing in the West Region which also has perhaps the best team in the Tournament, the Bulldogs of Gonzaga University. 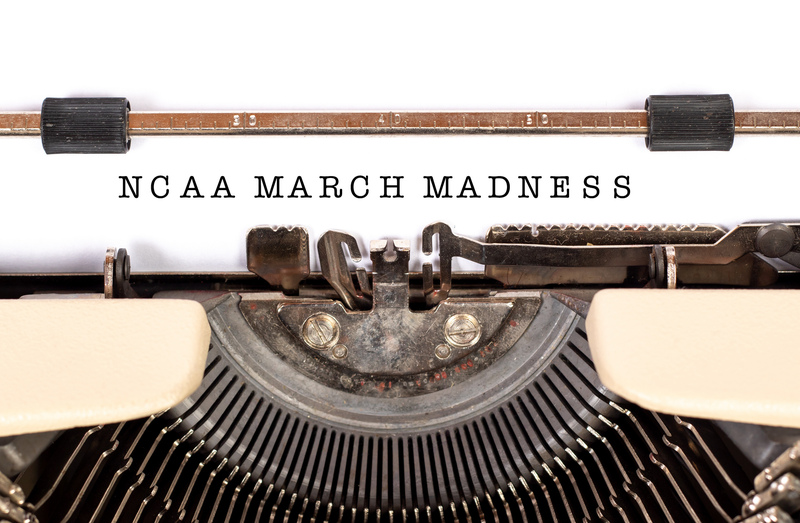 Which brings us to the time of predictions for 2019’s March Madness Tournament. The title games of each region are played between the last eight teams remaining and the winner of each goes to the Final Four for 2019. Here are my picks for those eight teams and the results of their contests. For the East Region title, No. 1 seed Duke will face No.2 Michigan State and Duke will come away as the victor. The team is almost too good to keep out of the Final Four every year, and 2019 is no exception. In the West Region, I’m going to pick No. 7 Nevada squaring off against No. 1 Gonzaga. It might seem sentimental, but the ‘Pack made it to the “Sweet Sixteen,” last year, which is only one game short of a Regional title shot. However, I have to engage my basketball IQ here and unfortunately pick Nevada to fall to Gonzaga. 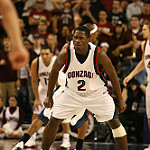 I think the Bulldogs are the best team in the tourney and will prove too much for the Silver and Blue. Next up is the South Region Championship, which I predict will feature No. 1 Virginia against No. 2 Tennessee for the Region crown. I think the Tennesse Volunteers may have the stuff to get it done and knock off the Cavaliers. Finally, the Midwest Region will be the only title game without a No. 1 seed, as No. 2 Kentucky will face the No. 4 Kansas Jayhawks. I think this could be the toughest game to call of 2019, but I give the edge to Kansas to take the game. That will complete the trip to the Final Four in Minneapolis and provides some intriguing and entertaining games for the National Semi-finals on April 6. Two No. 1 seeds will face each other in one contest, with Duke as the East Region Champion going against Gonzaga from the West Region. Gonzaga University hails from Spokane, Washington, a state bordering the Pacific Ocean, while Duke University comes from Durham in the Eastern coastal state of North Carolina. Both schools have become powerhouses in men’s college basketball, though Duke has a long tradition of winning in the NCAA ranks. Their superior coaching and top-notch players year in and year out make the Blue Devils a fearsome foe for any team. Duke has climbed to the very top to capture five national titles, which is fourth all-time trailing UCLA, Kentucky and the University of North Carolina. Gonzaga will be competing in it’s 21st NCAA basketball tourney. The Bulldogs have made it to the Final Four only once two years ago. They advanced to the title game and lost to North Carolina in 2017. Gonzaga should be back in the title game this year after they defeat Duke. 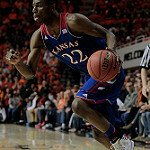 The other Semi-final game will be between the Kansas Jayhawks and Tennessee. 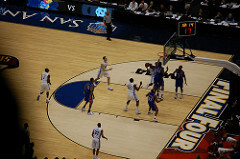 Kansas has a long tradition of basketball excellence similar to Duke’s, with 3 national titles, the last coming in 2008. The Tennesse Volunteers are the true rookies of my Final Four cast, as they have never made it to that vaunted level. Though I predict they will make the stage, it is Kansas who prevails in that contest. That means Gonzaga will challenge Kansas for the National Championship on Monday, April 8, 2019, if my prognostications hold true. The 2019 title should be captured by Gonzaga and the Bulldogs will celebrate being the kings of college hoops for the first time. The great thing about March Madness is that almost anything can happen even in the very first round of play. It is certain there will be upsets all along the way and exciting, buzzer-beating finishes are the norm for the tourney. I don’t know if my bracket will hold up well, and the emergence of a completely different Final Four is definitely possible. One thing is for sure, it will be fun to watch and a great chance to cheer on your favorite team as they compete for hoops dominance in 2019.